🔥 Forbes: Recent Study Shows Bitcoin Market Is Rising Again, BTC Turns Less Volatile 🔥 Forbes: Japanese ‘Amazon’ Rakuten May Push Bitcoin to Future Highs 🚀 Bitcoin Price Technical Analysis: Sail to $5,900 on Elliot Waves. Time to Buy BTC? Although cryptocurrencies made waves in the world only in 2017, the Blockchain technology underlying them was introduced several years ago. What we have today has become possible thanks to outstanding personalities: millions of people enjoy numerous benefits of Blockchain thanks to efforts of a few hundred people. It's not possible to cover all of them, but we have covered the top 10 Blockchain industry names. These people have already contributed to the community and digital progress and continue changing the world for the better. Even though the mysterious Satoshi Nakamoto has created Blockch and Bitcoin, he couldn't be the only person (or a group of programmers) developing it. Gavin Andersen is the one who wrote the code together with him, which makes him one of the most influential people in cryptocurrency. After disappearing, Satoshi handled him the alert key that enables to transmit messages related to the critical Bitcoin system errors. Today, Andersen is one of the wealthiest Bitcoin-related programmers, but what motivates him to contribute is a true devotion to the Blockchain. Russian-Canadian programmer Vitalik Buterin is the founder of Ethereum, famous Blockchain platform that implements smart contracts. You can hardly find a person who hasn’t heard about Ethereum, so Vitalik Buterin is one of the most well-known Blockchain industry top names. His first programming attempts were taken during teenage years, and Buterin quickly got involved in this sphere. He even founded Bitcoin Magazine before crypto turned into the mainstream. After the release of Homestead, the second Ethereum version, and hacking of DAO, its primary competitor, Ethereum has become even closer to Bitcoin and has enough potential to puts its reign to the end. Brother of Bobby Lee, CEO of BTCChina, Charles Lee is a crypto enthusiast, entrepreneur, and programmer who used to work for Google. However, the world knows him as the founder of Litecoin, Bitcoin's hard fork aimed at accelerating transactions and making block size less. Only this fact makes him one of the most influential people in the Blockchain industry, though Lee has a lot behind his belt. Litecoin is the world's fourth cryptocurrency by market cap after Bitcoin, Ethereum and Ripple. Now, Lee is developing Coinbase, a promising Blockchain startup that has already established partnerships with some large companies. The list of 100 most influential Blockchain people can’t be full without Nick Szabo. 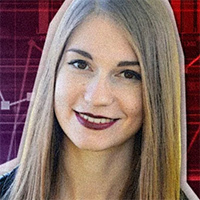 This person is well-known for research of digital contracts and cryptocurrency. Back in 1998, he has created Bitgold– a mechanism for a decentralized digital currency. The term ‘smart contracts’ was introduced by Szabo. people say, he might be the famous Satoshi Nakamoto, but Nick denies that. What makes Brian Armstrong one of the 100 most influential Blockchain people? He is the founder of Coinbase, an open financial system, and a BTC exchange platform. Armstrong has a Bachelor’s Degree in Computer Science, as well as Economics, and also got a Master’s Degree at Rice University. Armstrong is a Blockchain enthusiast and strives to advance Bitcoin. Being a tech entrepreneur, he has worked with a large number of companies and addressed different audiences. When it comes to influential people, Blockchain isn’t the only sphere they specialize on. Andreas M. Antonopoulos, a Greek-British Bitcoin advocate, has a broad range of interests, which proves that. He has degrees in Data Communications, Computer Science, and Distributed Systems. What has Antonopoulos done for Blockchain? Published over 200 articles on cloud computing, data centers, and security. Advised executives from Fortune 500 companies on the questions of cloud computing, networking, and security. Wrote such books as Mastering Bitcoin (it’s considered to be the best BTC technical guide) and The Internet of Money. Antonopoulos is not just a public speaker– he inspires people to work with cryptocurrency and raises our awareness about technologies around. Among Blockchain names, Erik Voorhees is one of the most well-known. The American founder of Bitcoin startups and Coinapult company, he worked in Bitinstant and owned Satoshi Dice. Voorhees wants to change the current situation in the global economy and overcome the problem of fraud and counterparty risk. Being a dedicated Bitcoin advocate, he keeps his assets in Bitcoin. Son of Don Tapscott, Alex is both a businessman and a writer. He and his father are authors of Blockchain Revolution, number one best-seller acclaimed by many critics. They have also founded the Blockchain Research Institute to figure out how blockchain can impact the world economy. He wrote some articles for TIME, Quartz, Toronto Star, the Huffington Post and Harvard Business Review. Our list of the most influential people should be finished with Adam Back– the programmer and Bitcoin enthusiast who implemented the first proof-of-work and decentralized mining (features of Bitcoin). 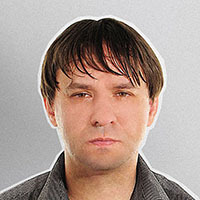 He is also the author of credlib (library executing credential systems) and contributed to the development of security features. Now, Back is the president of Blockstream company. As we can see from these most influential people, Blockchain isn’t the only sphere of their interest– men of talent apply their skills in different areas. Who knows, maybe, they will bring Blockchain to a new level, or maybe will introduce some revolutionary technologies that can change our lives irreversibly? 💎 Forbes: Recent Study Shows Bitcoin Market Is Rising Again, BTC Turns Less Volatile 🚀 Forbes: Japanese ‘Amazon’ Rakuten May Push Bitcoin to Future Highs 🚀 Bitcoin Price Technical Analysis: Sail to $5,900 on Elliot Waves. Time to Buy BTC?